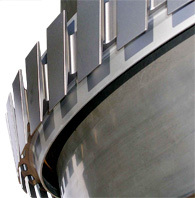 Pratt & Whitney's approval authorization was given to JetAir Support on July 27, 2011 to perform the "Source Approved" Shot Peening of the blade slots on the JT8D-200 series Low Compressor Disks. Aug. 17, 2011 - PRLog -- Pratt & Whitney's approval authorization was given to JetAir Support on July 27, 2011 to perform the "Source Approved" Shot Peening of the blade slots on the JT8D-200 series Low Compressor Disks. P&W decision came after months of analyzing and inspecting of Jetair Support's maintenance and repair facilities near Miami international Airport. The approved process, Shot Peening, is a cold working process used to produce a compressive residual stress layer and modify mechanical properties of metals. It entails impacting a surface with shot (round metallic, glass, or ceramic particles) with force sufficient to create plastic deformation. It is similar to sandblasting, except that it operates by the mechanism of plasticity rather than abrasion: each particle functions as a ball-peen hammer. In practice, this means that less material is removed by the process, and less dust created. Adelino Martins, president of Jetair Support, reported to be proud to have won the trust and confidence of another leading aerospace manufacturer with global service operations. At the same time, Mr. Martins said that JetAir Support will continuously invest in the latest repair technologies and equipment as part of their commitment to superior service and quality workmanship. JetAir Support is a certifies maintenance, repair and overhaul (MRO) station that has been serving the commercial aviation since 1992. We offer specialization in CFM56-3, JT8D families of engines. Quality repairs and inspections, every time.